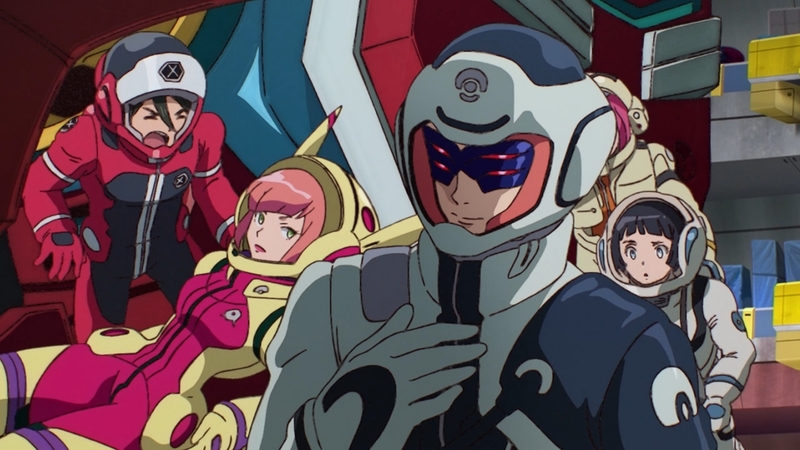 Gundam: Reconguista in G Ep. 13: To the moon! ‘Cause that’s where we’re going next. 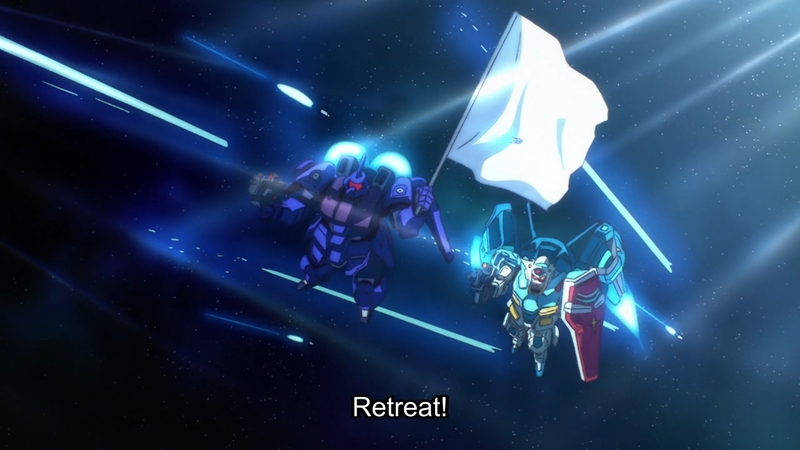 Anyway, Reconguista in G always seem to do just enough to get you excited for the next episode. But when the actual episode actually rolls around, it never quite delivers. I mean, I thought we’d get an explosive battle this week. With everyone teaming up to face the threat from space, I thought we’d at least see some sort of fighting break out. But alas, it is not to be. Hell, half of the episode is spent on just getting everyone in one place! And then… nothing really happens.Well, that’s not quite fair. 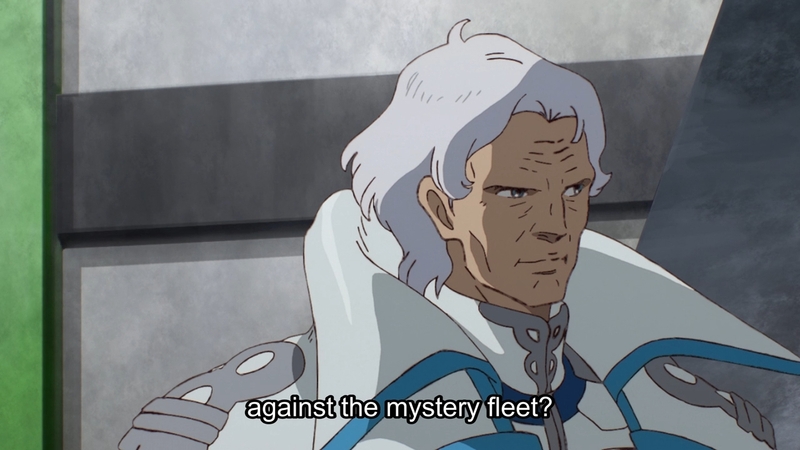 Klim cooks up this harebrained scheme where a bunch of mobile suits — led by him, of course — will pretend to fly up to the moon fleet with a white flag. This way, when the opportunity presents itself, the hastily cobbled together alliance of Earthnoids — yeah, that’s what they’re calling themselves — can quickly attack and destroy “the big guy in the middle of the fleet.” Klim honestly thinks that the people on the moon are “unaccustomed to war,” so this will cause the moon fleet to completely scatter. Well, the moon people are smarter than he thinks. Or maybe Klim is just dumber than he thinks. After all, Mask pretty much calls our genius an idiot right off the bat. But you know how it goes. Everyone’s in danger, so Bellri ends up being the savior again. Though to be fair, even the moon people are incompetent in their own ways. I was also hoping for the moon people to have more of a commanding presence, but the subsequent discussion between them and the Earthnoids turns out to be rather… petty. 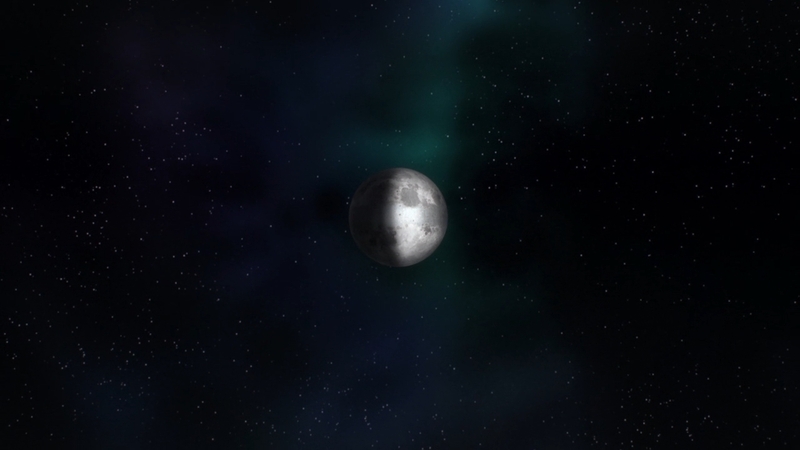 The moon people are accusing Earth of using Universal Century technology recklessly. Ameria representatives turn around and accuse the moon people of wanting to invade Earth. The moon people clearly look down on the Earthnoids. The bigwigs may try to act all diplomatic and everything, but the hot-headed soldier, i.e. 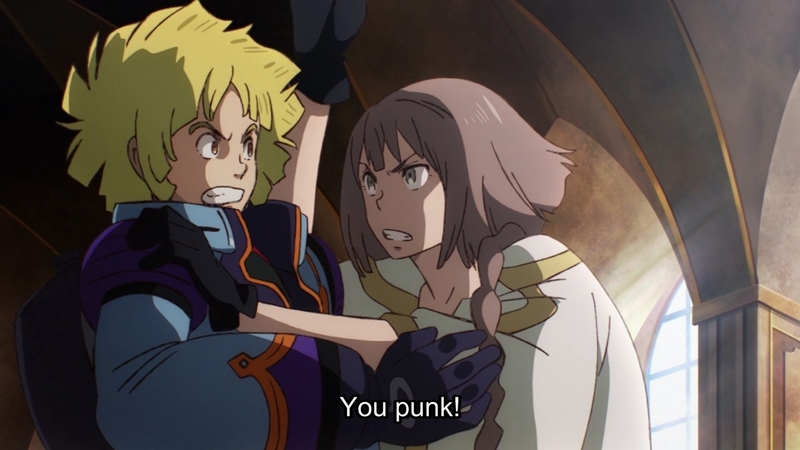 the one who tries to attack Klim, is clearly the most honest moon person in the room. So when he says that Earthnoids have only left behind a history of weakness, then it’s obvious that our lunar friends see their terrestrial cousins as a bunch of pitiful charity cases. The danger here is that if you treat another class of people poorly, i.e. the Kuntalas, don’t be surprised to see if someone else treats you the same way. Bigotry begets bigotry. To be honest, even General Dorette is more honest with his feelings than he would like to let on. At one point, he scratches his nose in a way that makes it look like he’s picking it. I doubt he’d do that in the presence of anyone he actually respects. Eventually, the moon people namedrops the Rayhunton family, which causes Aida to storm out of the meeting. Just hearing the name seems to have been the impetus for her sudden desire to head to the moon. Anyway, like usual, Reconguista in G’s strength lies in the small things. 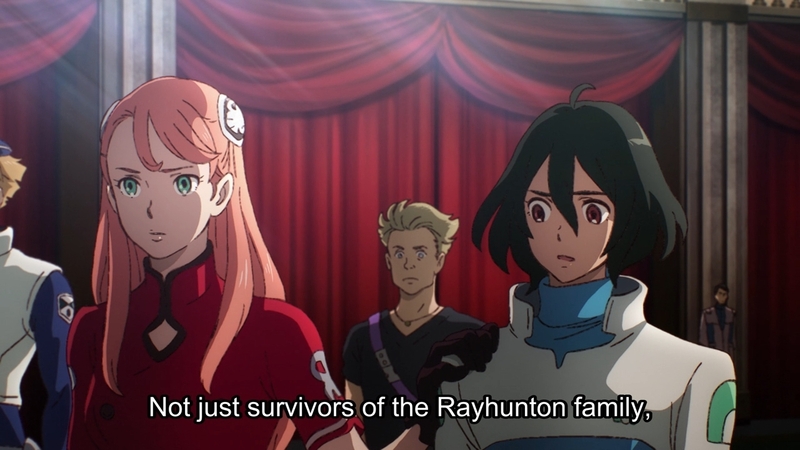 Like how Aida reaches out and grabs Bellri’s shoulder when she heard the name Rayhunton. But of course, if they really are family as many have long suspected, I must wonder why they don’t look anything like each other. 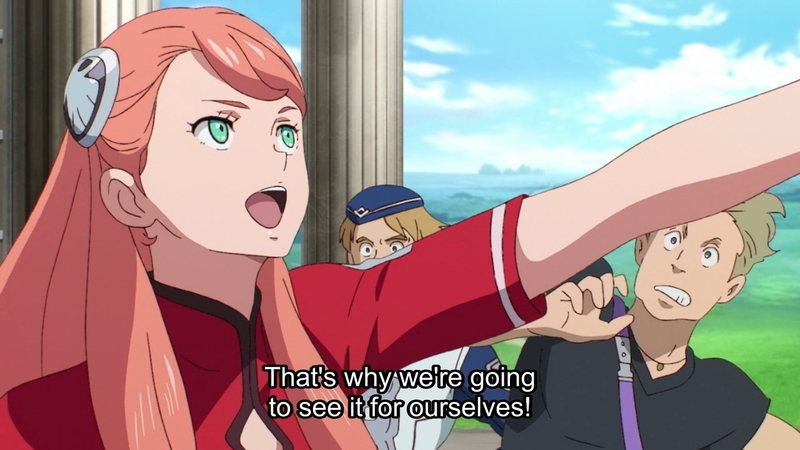 You also have Aida literally twiddling her thumbs because she once again has to sit back and do nothing. Or Barara casually bumping Bellri out of the picture at one point, then sarcastically expressing what a pleasure it is to meet him. More importantly, you have Cumpa’s eyes darting back and forth near the start of the episode. He then conveniently disappears from sight right before the moon people arrive. Gosh, someone’s acting shady. Likewise, Raraiya kind of pulls something similar on her friends, and this is enough to make you wonder if she’s perhaps recovered her senses quite some time ago. All series long, she’s had a penchant for sticking her nose where it didn’t belong. 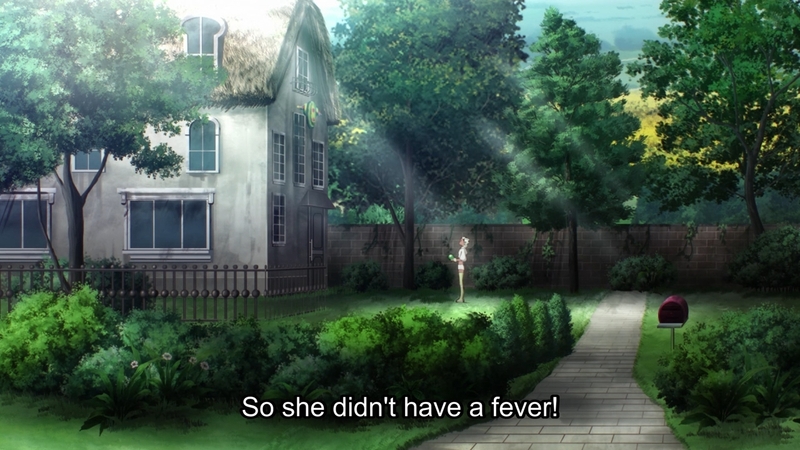 All of a sudden, however, when everyone’s about to meet this Noutu Dorette guy, and she falls ill. Like Cumpa’s disappearance, it’s very convenient. Oh, a room full of people who might recognize me? 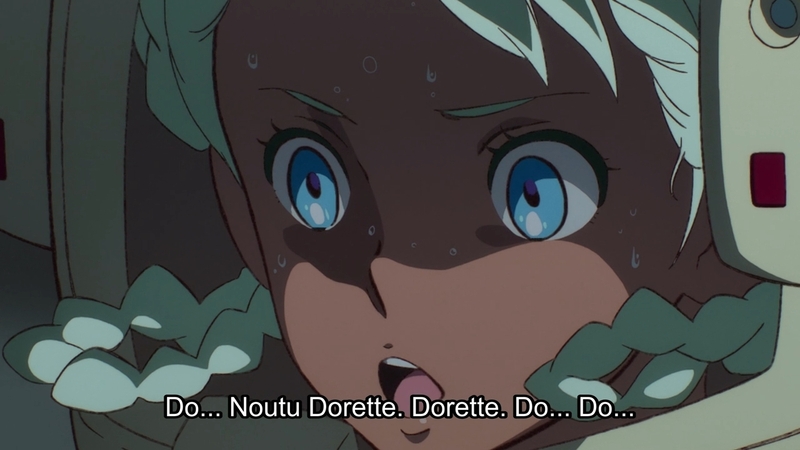 I was just seen freaking out about Dorette? Let me just run over here and stare at this house… Moving on, the interactions between Mask and Klim aren’t quite as plot important as the previous details, but they are still as amusing as I thought they would be. Still, I’m disappointed that nothing really happened in this week’s episode. The characters spend a lot of time running around only to wave a white flag and run away from battle. Then, y’know, we have that obligatory discussion scene in which nothing is really discussed in great detail. Instead, the characters mention a few cryptic details and nothing more. Yes, we’ll be going to the moon. Yes, I can say, “Hopefully, the trip to Towasanga will finally get the story moving,” but I’ve been saying “Hopefully…” all season. 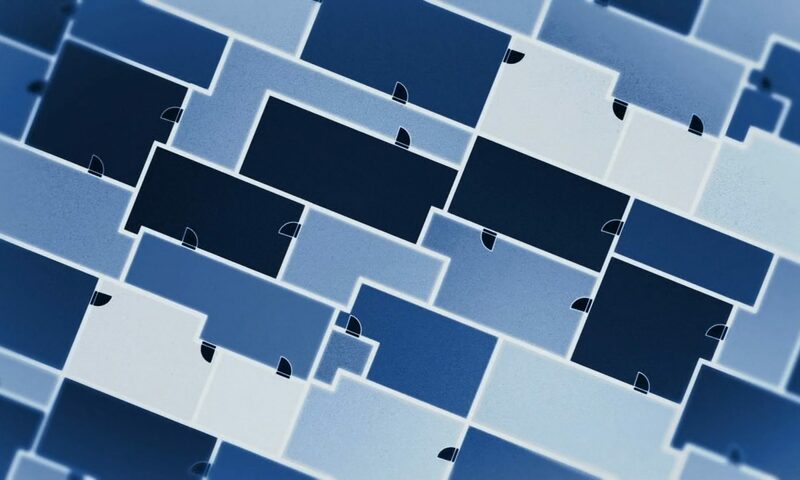 At the end of the day, the series is half over and the main conflict still hasn’t really emerged. I mean, we’ve sort of met the bad guys… maybe… but what’s even the central conflict of the show? I still don’t know what it is. Some slight jockeying for power from various factions? After thirteen episodes, it’s kind of silly that this is all we get. I still like this show a lot. 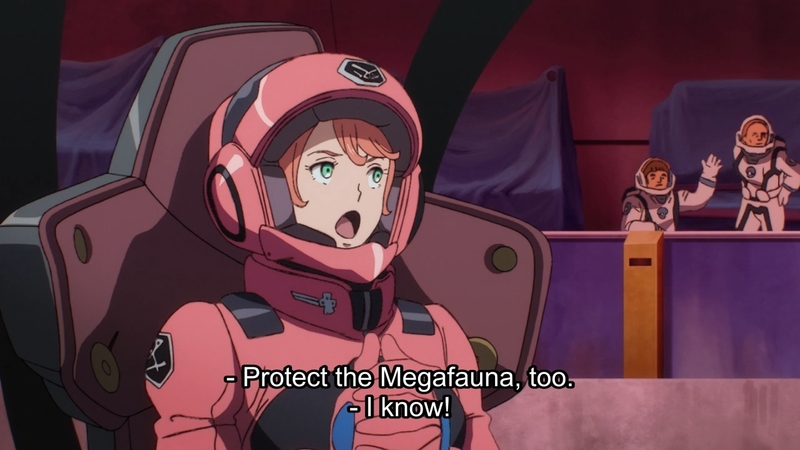 It’s the most fun I had with mecha for the past 2 years. Nothing truly special happened, but it keeps my attention with its colorful style amusing characters. 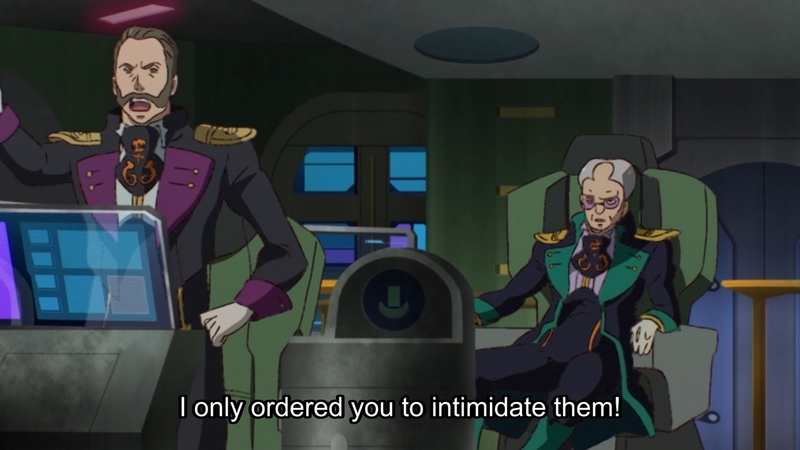 I also like the fact that diplomacy exist in this world, unlike most mecha anime.. 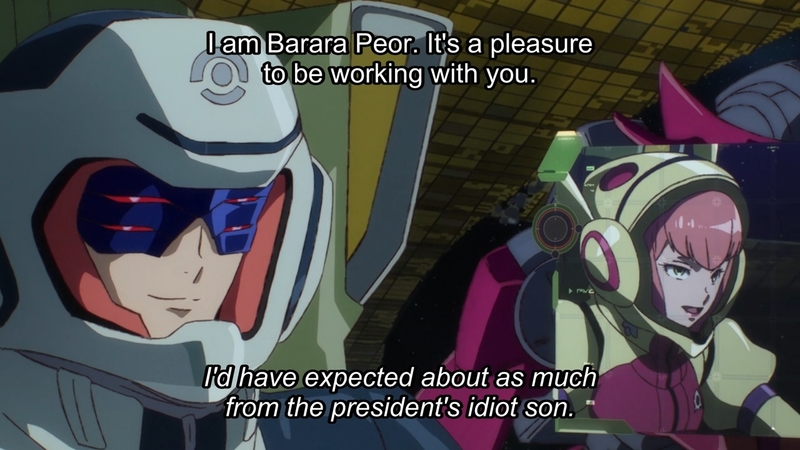 The term has actually been used in the UC timeline since the original Gundam. 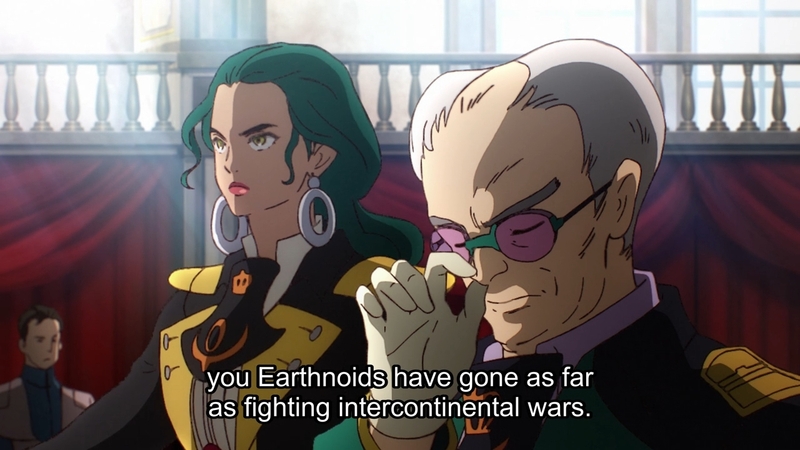 Folks from space are called, well, spacenoids. 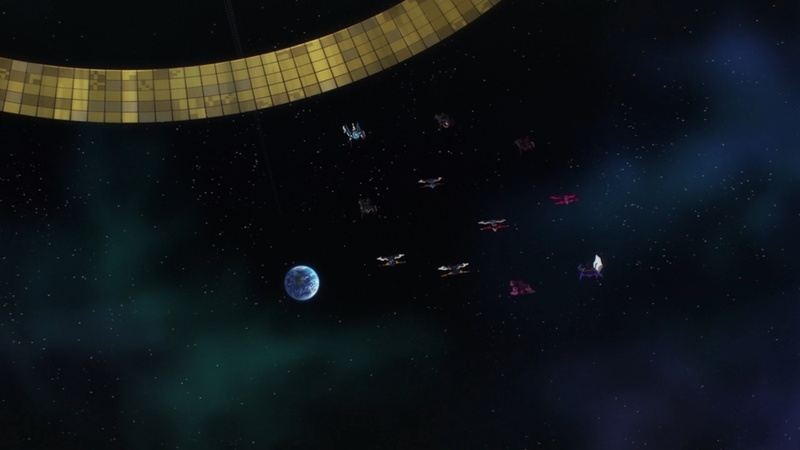 One funny thing here is how they build up the moon fleet as some “mystery threat”, then when they all get together, the diplomats acts as if they have known each other for years. Kinda makes you wonder what the state of long distance communication really is in this world.